If you didn't know by now, I love my holo polishes! This is no exception. 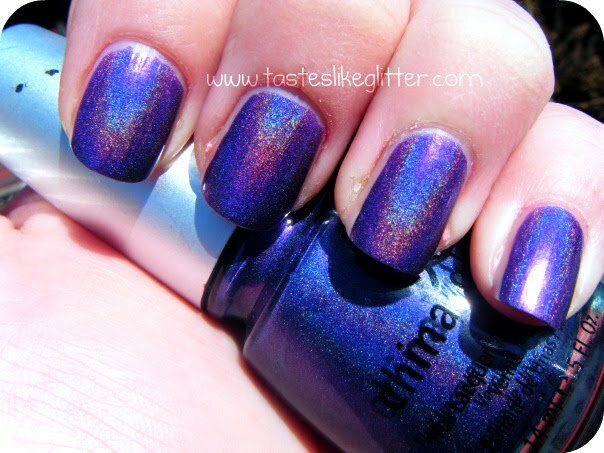 It's another from the China Glaze OMG Collection. Please excuse the second photo, I only just realised I had a cat hair on my finger and it wasn't totally focused but it's the photo that shows the colour best. It still looks more blue when in actual fact it's a really deep purple. As with all China Glaze polishes, this was super easy to apply and it dried quickly to a semi matte finish. It's a very deep purple with no blue tint to it whatsoever. That's all down to the damn camera. What is it about purples that makes them so hard to photo? 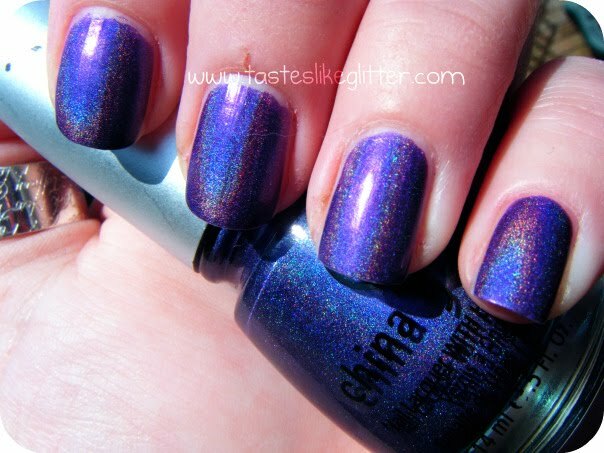 :/ It has multi coloured holo that isn't as blindingly obvious as light coloured holos like IDK but it's still super pretty. 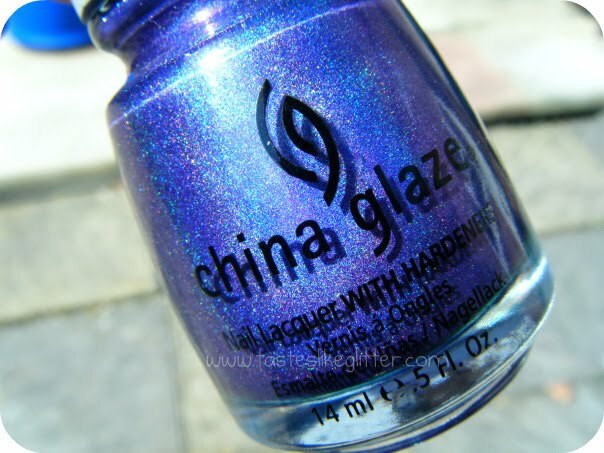 Bit of a short review but it's just the same as all the other China Glaze polishes I have from the OMG Collection. 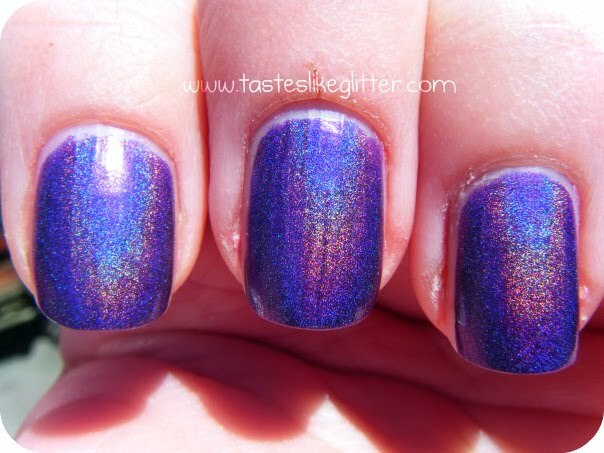 Do you like holos? 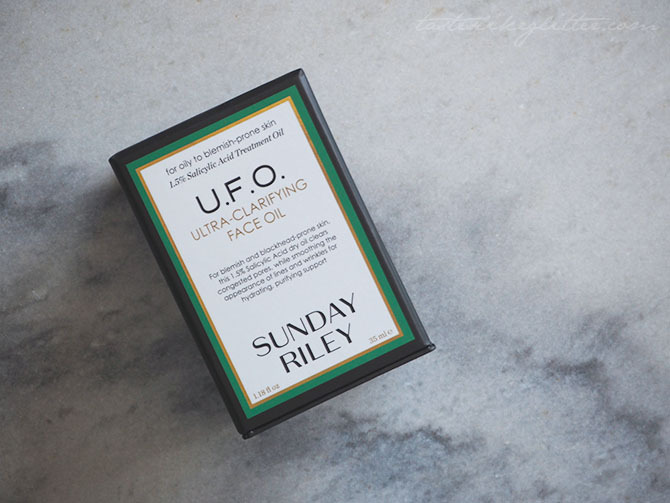 If so recommend me some that I can get in the UK! :) Because I really want to wear these in the Summer, when you can see them at their best. TLG Is Going On A Temporary Hiatus.